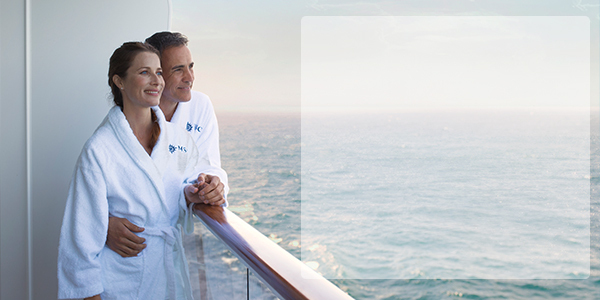 Do You Want to Book or Need More Details on These MSC Cruise Offers? Pack your bags - you can't pass up these last minute holiday offers! As you make your way through your Christmas shopping list, why not treat yourself? 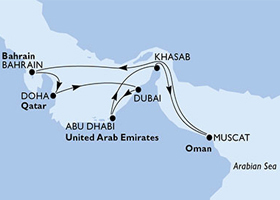 Spend the upcoming holiday season sightseeing, relaxing and getting pampered by MSC. Whether you're after exquisite cuisine, sandy beaches or sightseeing - we've got you covered. Just choose and cruise, and give yourself something to look forward to. *“Get the Best” rates are per person based on double occupancy. The rates are subject to change and may vary without notice. This offer is valid on new bookings only, made between 5th of July 2018 / 15th of August (for Winter 2019/20) and 4th of December 2018, valid on selected sailings from Summer 2019 and Winter 2019/20 Programs, March 2019 until April 2020. 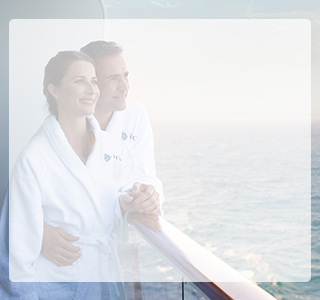 The offer is capacity controlled, subject to availability and confirmation by MSC Cruises. It is only combinable with MSC Voyagers Club discount, and not combinable with any other offer or MSC Discounts and/or Future Cruise Consultant Vouchers, unless otherwise stated on ad-hoc promotional material. 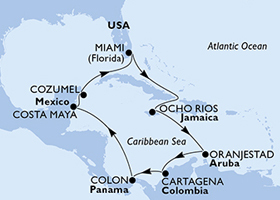 Choose and Cruise rates are per person based on double occupancy. The rates are subject to change and may vary without notice. This offer is valid on new bookings only, made between 1st of March 2018, valid on selected Summer 2018 and Winter 2018/19 sailings. 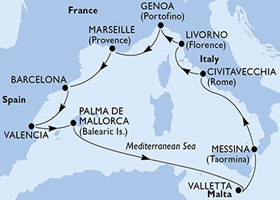 The offer is capacity controlled, subject to availability and confirmation by MSC Cruises. 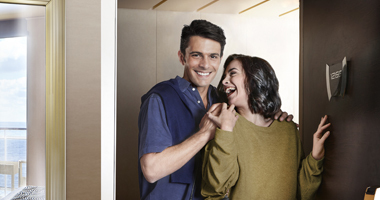 It is only combinable with MSC Voyagers Club discount, and not combinable with any other offer or MSC Discounts and/or Future Cruise Consultant Vouchers, unless otherwise stated on ad-hoc promotional material. During the Post Wave Campaign, Choose and Cruise for sailings included, the promotion will be visible on the reservation system at the time of the booking under the “Choose and Cruise ” price descriptions. The offer can be withdrawn at any time without notice. 3rd and 4th berth guests pay the usual applicable rate. Flights and any other add-ons will be available at the current selling rates, payable by all guests under the same booking. Guests travelling on different Experiences will be subject to restrictions on dining arrangements. Single Supplement 100%.